The bionic barrier is our second generation shark barrier technology, and is preferred in areas of large tidal ranges (Around 4-5m+). The Bionic Barrier is a durable nylon plastic shark barrier that protects swimmers and surfers from large marine creatures. 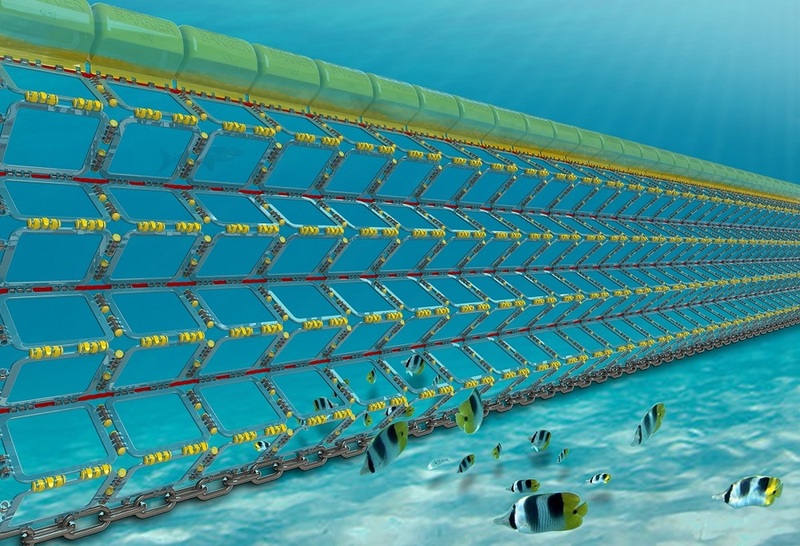 The barrier is a seabed-to-surface, fully enclosed marine enclosure that excludes large marine animals whilst allowing fish and small marine animals to pass through unharmed. The Bionic Barrier is a solid nylon barrier structure that doesn't entangle marine species. The protective barrier gives peace-of-mind to beach users. It also prevents people being swept offshore in rip currents. The Bionic Barrier offers all-year-round protection to sheltered beaches, exposed beaches, and surf beaches. The Bionic Barrier can remain in the water through all weather conditions. The Bionic Barrier may perform better than the Aquarius Barrier in areas with a large tidal range, due to its ability to hinge and fold neatly. 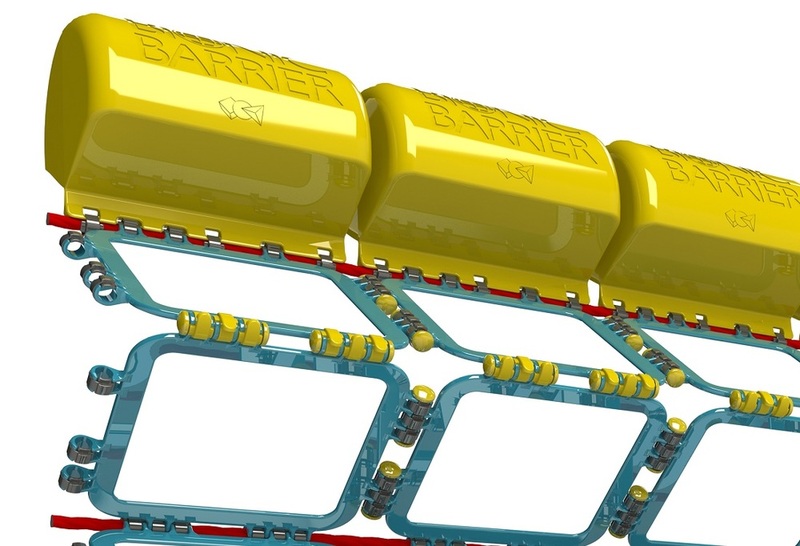 The Bionic Barrier has unique one-way hinges that allow it to adapt neatly to sea height. The Bionic Barrier automatically adjusts to tidal fluctuations, swell and seabed movements. The hinge system reduces material fatigue that is common in static ocean structures. The Bionic Barrier is very versatile. It is the first barrier of it's kind to be designed for sheltered beaches,exposed beaches, and surf breaks. The Bionic Barrier is a very strong enclosure that is designed to withstand the full force of a shark impact. The Bionic Barrier has a 7,300kg horizontal breaking strength. The Bionic Barrier is very durable. The enclosure is made from a UV Stabilised, high-impact polymer. Importantly, the enclosure can remain in the water all year round and endure all weather conditions (seeExtreme Weather). It has an estimated lifespan of 10 years, with a full warranty of 3 years on barrier components.